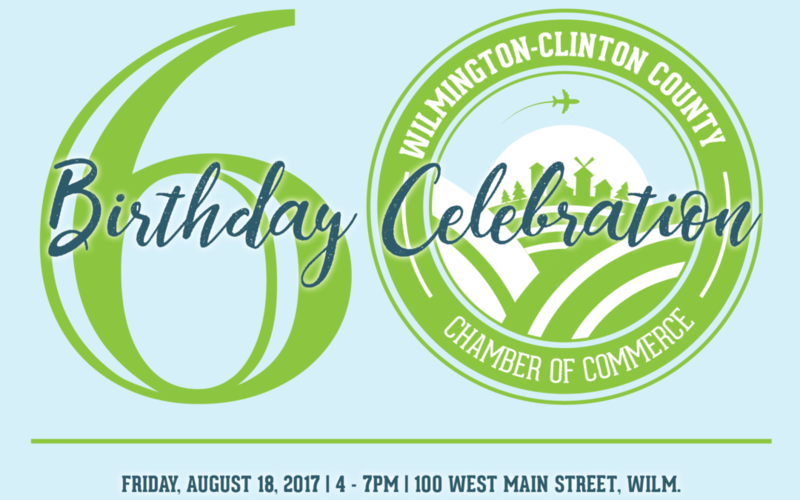 The community is cordially invited to the Chamber’s 60th Birthday Celebration on Friday, August 18th, at the Chamber office – 100 West Main Street, downtown Wilmington. “We welcome the community to come celebrate the Chamber’s legacy in Clinton County, learn more about our great business members and our initiatives throughout the county, and enjoy cake and refreshments!,” states Executive Director, Dessie Rogers. There will be a formal ribbon and cake cutting at 4PM and an open house in conjunction with the Main Street Wilmington Jeep Jam until 7PM. The first 60 guests will receive a door prize and chances to win cash and gift baskets. 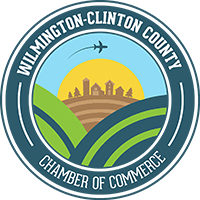 For 60 years, the Wilmington-Clinton County Chamber of Commerce has worked to create an environment in which businesses of all sizes can thrive and grow by serving as the community’s leading advocate for businesses. Now, more than ever, the Chamber continues to be an active, productive, and effective force in bringing economic development and job growth to our community. Each of our programs strive to support businesses that improve our area economy and enhance the quality of life for all our residents. At the heart of our work is the active participation and involvement of our members in building a strong future for Clinton County. Our members serve as our ultimate ingredient for the success and growth of the Chamber. To RSVP or for more information, please contact the Chamber at 937.382.2737 or info@wccchamber.com.